This entry was posted on Friday, February 1st, 2019 at 1:17 pm and is filed under pbs kids, TV. You can follow any responses to this entry through the RSS 2.0 feed. You can leave a response, or trackback from your own site. After one hour of being made aware of Princess Daazhraii Johnson by attending the PBS KIDS press event for the groundbreaking new program Molly of Denali, I learned a surprising number of facts about Alaska. 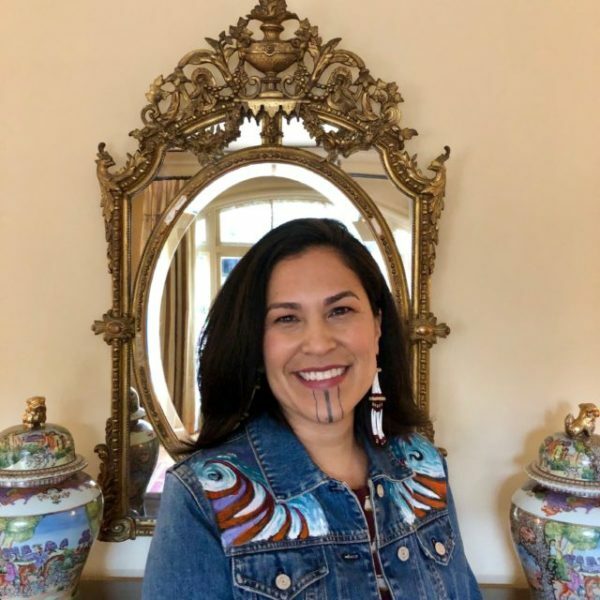 Princess is from the Gwich’in Native Alaskan tribe and is the Creative Producer of the new show that airs July 15th on your local PBS station. She taught me more about Alaska in a ten minute chat than I have learned in a lifetime. Her influence on the new series is sure to get kids excited about the exciting modern life with nature that ten year old Molly lives. The tattoo Princess wears is to pay respects to her people and to teach her daughters, who think mom is extra cool now that she has made a show with characters like them on PBS Kids. Note: they do not live in igloos! shareit app for windows 8. shareit software for windows 8. lenovo shareit for windows 10. shareit for laptop. share it for pc windows 8.1. how to use shareit app.